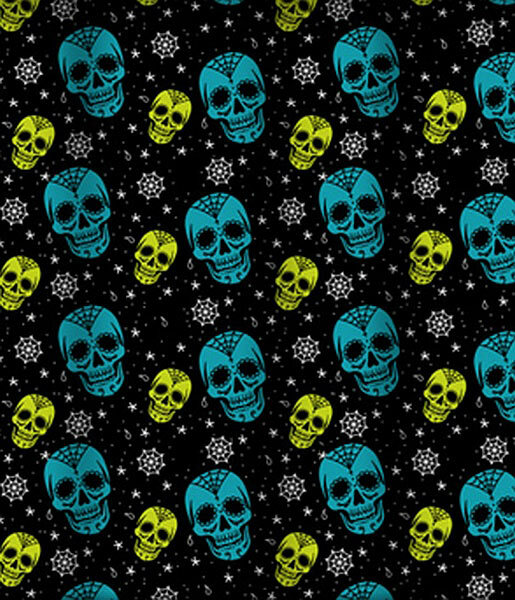 Add a little Mexican kitsch to your bathroom with the Sugar Ink shower curtain! 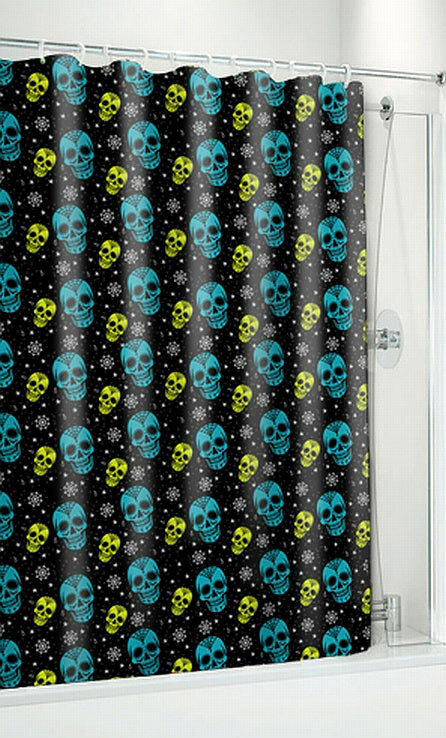 This black polyester day of the dead shower curtain has teal & green sugar skulls surrounded by traditional stars & webs. 72" by 78"
This shower curtain was much nicer than expected. I bought it for my tattoo shop and expected a cheap vinyl curtain for the price and was pleasantly surprised that it was cloth... Shipped out very quickly. Since then I bought another curtain for my home as well. Excellent company to order from. I have spread the word to my customers who LOVE the curtain... I will be ordering more from the company.